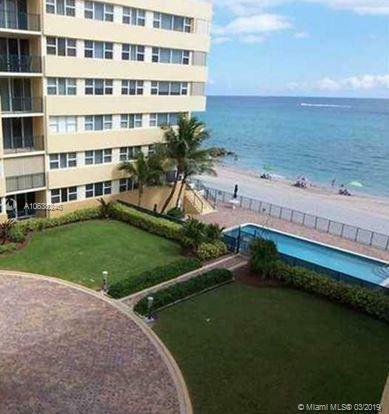 Hillsboro Beach consists of more than three miles of Fort Lauderdale homes and Fort Lauderdale condos located in the northeast area of Broward County with the beaches of Fort Lauderdale acting as the backyard for these homes and condos. Hillsboro Beach residents are a vivid blend of ethnicities from Hispanics and African Americans to Asians and Native Americans that live in a neighborhood recognized for, among many other things, its unusually low crime rate. The low crime rate may be a major perk to Hillsboro Beach but it’s arguably its famous moniker of “Millionaire’s Mile” that defines this attractive waterfront neighborhood. The astonishing diversity of single family Fort Lauderdale condo homes in Hillsboro Beach offer undeniably spectacular panoramas of the Atlantic Ocean and the dramatically captivating South Florida sunset. Downtown Fort Lauderdale, Las Olas, the Galleria at Fort Lauderdale, these are a few of the places one can visit from Hillsboro Beach without having to drive too far from your Hillsboro Beach home or condo. Besides offering a cornucopia of dining, shopping and entertainment, most of these places are minutes from Fort Lauderdale Beach which means you’ve still got easy access to the Fort Lauderdale coastline if you’re away from home.